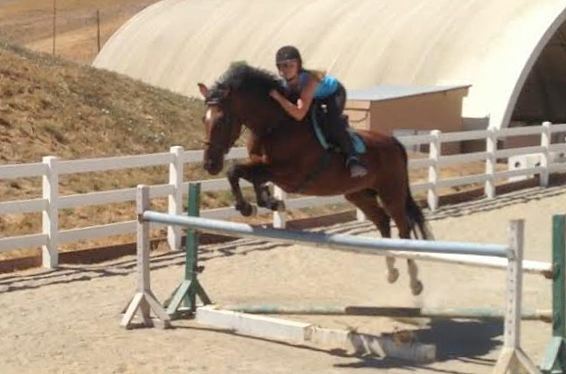 For more information about the horses we have for sale, check out our ads on Bayequest.com. SOLD: Al is a barn favorite! Often described as a once in a lifetime horse, Al is a retired ex-grand prix horse who is looking for a competive rider. Al would be perfect for a confident junior or amateur he could take up the levels in the jumper ring. Al now jumps to 4 foot, although we would like him to course/show around and under 3 foot due to his age. Al has no spook or stop and is pure fun, just needs an experienced rider due to his power! He is always in the ribbons and will jump from any distance or spot. Al is offered for sale at $1,800. For more information Call Julie at 925-337-5375. Copyright 2013 A Meandering Creek Equestrian Center. All rights reserved.